Saturday night I finally caught up with pianist Geoff Keezer again, and it’s sad that it took this long for me, due partly to over a decade of my very unsettled existence. But I think it’s also a comment on the state of jazz as a still-neglected if indomitable art form. I had attended a convivial, if rain-swept, early-evening block party in my North River West Milwaukee neighborhood, so my girlfriend Ann and I had to change our cloths, and dry out. So we got to the Pfister Hotel’s 23rd-story nightclub Blu too late to get seats to appreciably hear and see Keezer. But it was Saturday night at the high-altitude downtown hot spot and Keezer (and his talented current touring partner, vocalist Gillian Margot, who I can’t do justice to here) have enough of a rep to get an SRO crowd in their two-night stay. We did have an expansive and romantic nocturnal view of Milwaukee’s Lake Michigan shoreline, with the music only fitfully filtering back, enough to hear Keezer’s ingenious adaptation of Peter Gabriel’s “Come Talk to Me.” The pianist’s irrepressibly affirmative performance of the song (here) beats back the night that The Grim Reaper always hopes to mercilessly claim again. Human connection perseveres. Then a friendly but chatty conventioneer and outboard motor collector sat down in our far-flung corner and, for our ears, Keezer’s second set drowned in a flurry of motorboat memories, and the flotsam and jetsam left in its wake. Water-logged once again (figuratively this time) and no closer to a better seat, we left before the end of the third set. But after the second set, I did get a chance to catch up with Keezer personally though we’d never actually met. I’d begun following his career since his earliest auspicious recordings on Columbia DIW. He played as the last pianist – with another Wisconsinite, trumpeter Brian Lynch – in the last edition of Art Blakey and Jazz Messengers, including the band’s final recording One for All, months before the firebrand drummer-bandleader’s death in 1990. And that brings me to a theme of this column, the death of jazz musicians, including recently passed vibist Bobby Hutcherson. Though it’s hardly the death of the vernacular and art form, as musicians like Keezer, Lynch (no relation to the writer) and thousands of others prove daily. Last Saturday, when I bought a CD from Keezer and introduced myself to him, a few more things came to light. I told him that I had last seen him as a member of the fairly audacious and visionary group The Contemporary Piano Ensemble, which toured across the country in the mid-1990s. I told Keezer of the remarkable phenomenon of seeing these four great jazz pianists — Keezer, band founder James Williams, Mulgrew Miller and Harold Mabern — playing four grand pianos with bassist Christian McBride and drummer Tony Reedus. And that this had happened outdoors at the zoo, in Racine, of all places. I’d gone down to the Racine Zoo to hear the ensemble with a dear friend Jim Glynn, a popular disk-jockey on WMSE and amateur jazz-improv drummer and flutist who (thematic strains again) died before his time, in 2004. Keezer recalled the concert but then admitted that he never realized he was playing at a zoo. The facility’s aesthetics and humane discretion had set aside a park-like setting with bandstand for its concert series. So it created a natural physical and acoustic cocoon from the zoo itself, probably so animals would not be unduly disturbed. But the Contemporary Piano Ensemble managed to be both straight-ahead and cutting-edge at the same time. 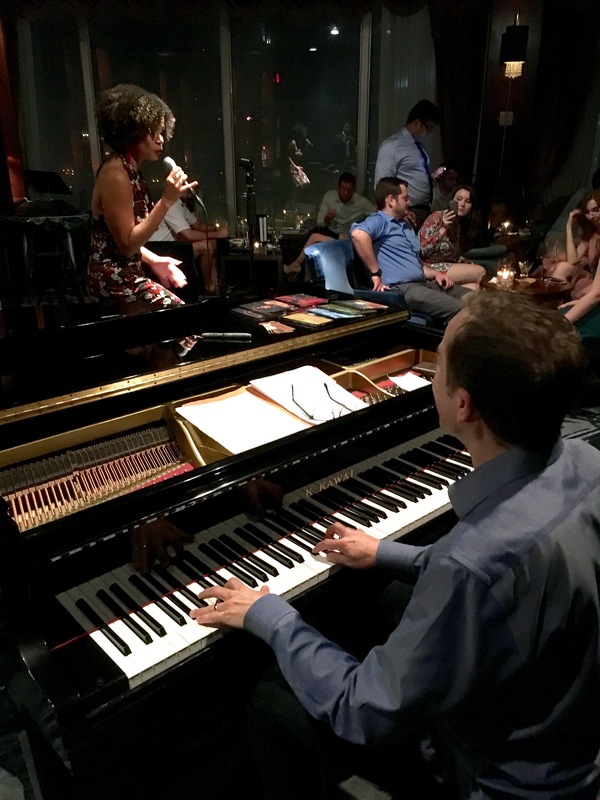 Their repertoire of both standards and originals proved compelling and, in their eight piano hands, captivating and sometimes head-spinning. They rarely sounded gimmicky and, like the sort of “witch-doctor” Art Blakey could invoke, these musicians could shake, entrance and transform you. But they never felt like the musician-doctors who dole out medicine for the confused and weary patient, as some self-justifying improv music does. Carrying four grand pianos on tour must’ve been a bit like Hannibal leading his elephant-driven army over the mountains, so the group was perhaps as short-lived as it was memorable. And the things Keezer carries today in his memory remain heavy. James Williams and Mulgrew Miller, friends since their days together at Memphis State University, both died young. Williams passed barely 51 in 2004 and Miller, the ensemble’s best-known pianist, died at 57 of a stroke in 2013. “I think about them every day,” Keezer told me. “They were mentors, they were my guys,” and a clear melancholy fell momentarily over what appears to be the man’s naturally upbeat demeanor. Morgan was killed by the woman who had saved and loved him, and it’s a long story of drugs, co-dependency and what can happen when a person decides to start carrying a gun. 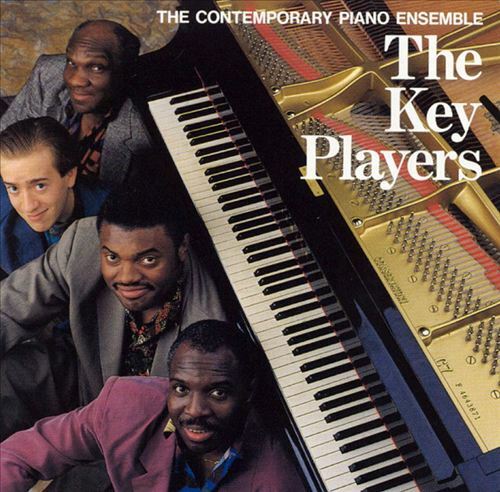 But for the piano ensemble, it’s notable that Mabern, Miller and Williams – all from Memphis (including Donald Brown) and all African-American – embraced the young white man from Eau Claire. It’s the jazz tradition of democracy and meritocracy – if you can play you can stay, and say your piece. In French, Eau Claire means “clear water” and if the deep, muddy Mississippi on the city’s shore ever provides clarity, it is when it offers up submerged American musical voices in the river for renewed scrutiny and historical appreciation. Geoff Keezer, now based in San Diego, emerged from the Jazz Messenger hard-bop tradition, and helps advance the music’s ever-extending global currents, including world music and alt-rock. That’s clear on several of his more recent albums, including . Aurea, Mill Creek Road (with San Diego guitarist Peter Sprague) and The Near Forever. But you can also pay it forward all alone, as in his most recent offering, a solo album, The Heart of the Piano. There you feel a certain loneliness, but also a deep connection to those who’ve come and gone, and left still-untold riches. Kevin Lynch (Kevernacular) is the author of the forthcoming book, Voices in the River: The Jazz Message to Democracy. Like many, I’ve been contemplating the tragic chaos of my hometown of Milwaukee (I drive through Sherman Park at least twice week) and the gun violence that triggered it, and all the other often-senseless gun killings we have endured, like a living hell, across America. It’s also the most glaring spotlight this city has endured in a long time — for example, the long, page-one feature in Sunday’s New York Times. 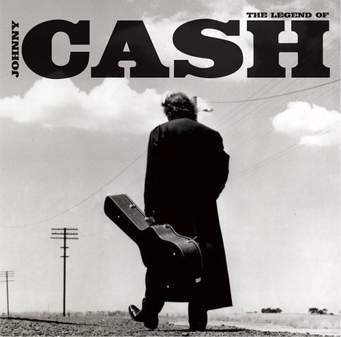 Then I was listening to some Johnny Cash videos and this one arose, like the Man in Black rising from his grave, to remind us of this great cautionary tale, which we seem to have forgotten. Guns seem to bolster all-too-many males’ sense of manhood and “rugged individualism” (misplaced in a loaded barrel, like a constipated-but-dangerous macho id, I think). In the same sense, gun “power” too often seems to bring out our worst angels, those little demons who goad our basest, ugliest, racist instincts, as with this Neanderthal. This song, “Don’t Take Your Guns to Town,” which he began singing in the late 1950s, has a disarming charm in its ambling melody and storytelling, but it’s message is deadly serious. 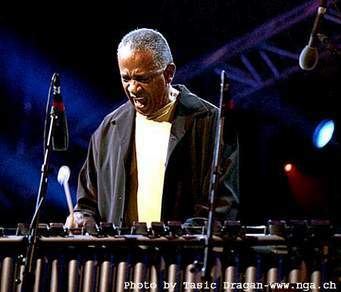 My recent blog appreciation of the great jazz vibraphonist and marimbist Bobby Hutcherson, who died August 15, prompted two first-hand remembrances of him, which I would like to share with readers.They provide insight into the personality and values of the man. Bobby’s comment about the Wonder proposal was perhaps a measure of his integrity and values as a jazz musician. I imagine he appreciated Stevie Wonder, but likely felt that an album of his songs would come too close to commercial pandering. He had made a modest amount of very accessible R&B influenced “soul-jazz,” including some tracks on his very last album with saxophonist David Sanborn, Joey DeFrancesco and Billy Hart, titled Enjoy the View. But he was a true artist of the hammered jazz instruments that encompass melody and harmony, a man shaped in the 1960s when jazz was expanding its parameters, staking new and sometimes challenging ground. Of course, Bobby’s aesthetic embraced sonic and melodic beauty as well.
. So it’s somewhat ironic that a group that he co-founded, the SFJAZZ Collective, ended up recording two albums of Stevie Wonder songs. Their instrumental arrangements are rich in jazz harmony and rhythm, and I suspect that Hutcherson liked the recordings and perhaps wished he had been on them. The first recording, Wonder: The Songs of Stevie Wonder won a NAACP Spirit award for a jazz recording, which I think is well-deserved for an album that reaches out beyond the “pure jazz” audience. The second recording Music of Stevie Wonder and New Compositions: Live in New York 2011 Season maintained the collective’s balance of repertory and original compositions. The second Hutcherson remembrance came from Chuck LaPaglia, the founder and owner of the Milwaukee Jazz Gallery, which had a memorable run as a national and regional jazz showcase in the late 1970s and 1980s. Paglia went on to do musician booking for Yoshi’s, the San Francisco jazz club and restaurant. This charming remembrance is part of an introduction LaPaglia is writing for the online version of Milwaukee Jazz Gallery, an anthology of the extensive journalistic coverage his club commanded during those years (disclosure: The anthology includes a number of articles and reviews by this writer). “The next full band to play the club was the Bobby Hutcherson Quartet on October 29, 1979. For me, it was a particularly happy occasion to be able to hear Bobby one month after hearing Milt Jackson. I was especially sensitive to the vibes, having grown up with another great vibes player, Carl Leukaufe. The band drove from Chicago and arrived the afternoon before the gig. I was in the bar room when they showed up. “When they came into the club they seemed to have some sort of attitude. I wasn’t sure what their problem was, but they seemed stiff and formal. The first night they got such a warm reception and such close attention from the audience that it completely turned them around. They suddenly were the nicest jazz musicians you’d ever want to meet. Hutcherson was a human who suffered, and ultimately died, from complications of Emphysema. My thanks to John and Chuck for adding a bit more dimension to our understanding of this human, and perhaps the greatest artistic proponent of the vibraphone in the second half of the 20th century. On another sultry but beautiful day yesterday, I had to get away from the computer and outside in the afternoon. So I went out to nearby Kern Park and shot some baskets and, because I was the only one with a ball, I attracted a few other guys and we ended up getting into a game of hustle that included one 6 foot 2 dude who could dunk the ball, another built like a linebacker, and an 11-year-old who consistently sunk high school three-pointers from beyond the top of the key! It was great fun and then I did some grocery shopping in my sweaty shirt, and when I came home I did not want to go back to the computer or Facebook. So I didn’t learn about vibes and marimba player Bobby Hutcherson’s death until I peeked at Facebook at about 10 PM and noticed Howard Mandel’s recommendations for listening to Hutcherson albums. My heart sank because I figured he’d been prompted by Hutcherson dying. I scroll down and found a few more posted tributes and then Nate Chinen’s New York Times obit. The great musician had died Monday at age 75, at his home in California, after years of struggling with emphysema. Although I studied piano, Hutcherson was the guy who, more than anyone, had me fantasizing about playing the vibes, from time to time. Last night I immediately thought back to one of the very first phone interviews I ever did when I began covering jazz for The Milwaukee Journal in the fall of 1979. It was with Bobby Hutcherson, who was to be performing at the Milwaukee Jazz Gallery, and I still have the cassette recording of the interview because he so impressed me when a hung up the phone. I thought to myself, this was one of the most musically dedicated and spiritual persons I have ever spoken to. Part of that openness to the spiritual or psychic or the subconscious arose in an anecdote he related to me about the great wind multi-instrumentalist, Eric Dolphy, with whom he had spent time playing and recording with in the 1960s for Dolphy’s premature death. Hutcherson recalled: “Eric used to call me up, maybe 4 o’clock in the morning, tell me his dreams. He’d say,’ Bobby, write this down.’ Things like, ‘one, six, eight, 17.’ You know, numbers and letters. He dreamt these things as if they might mean something, like intervals or scales or chords. You sensed in the man and his playing the desire to create beauty but also to press ahead with an insistent sense of what was musically possible and that might change things for the better, at least a bit. 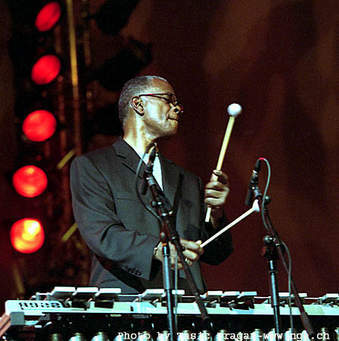 I was also fortunate to have just heard, in person at the Jazz Gallery, Hutcherson’s greatest inspiration vibist Milt Jackson, a few weeks before I interviewed Hutcherson. And there was no doubt that the great Jackson showed that he was the master of both the blues as expressed in through this ostensibly non-blues-friendly instrument, and the king of vibes swinging, against and around the rhythm. Then Hutcherson played Milwaukee in late October, 1979, and looking back at my review (in the anthology of Milwaukee Jazz Gallery press coverage published by the Riverwest Artists Association) I noted an affinity with another great jazz musician that he would collaborate with quite often, pianist McCoy Tyner. The review headline is “Jazz Storm has Serene Center.” I wrote: “The effect is precisely that rare sense of drama that can be found these days in the group of McCoy Tyner, but with no saxophone for easy ascent. Hutcherson struggles and thrashes, reaching, reaching. 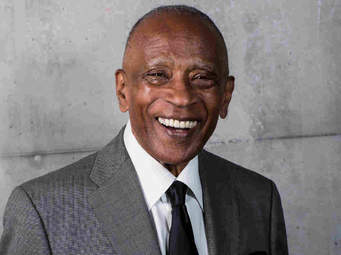 But he never quite gets to the note, even if you heard it.” That was the sense of purpose and ever-driving momentum and ultimately questing that gave a backbone to Bobby Hutcherson’s stylistic beauty and spiritual balance. Just a few days before his death, I had been thinking about Hutcherson and had pulled out a few of his CDs to listen to, including one of his later and lesser-known Blue Note albums called Patterns (1968), which is marvelous and a bit challenging with James Spaulding’s bracing alto. But there’s also plenty of color, texture and pattern with Spaulding’s flute and, of course, Hutcherson’s vibes and Joe Chambers’s artful percussion play. Here is Hutcherson’s stately but swinging title tune Patterns. 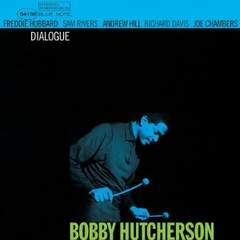 There are a number of other excellent Hutcherson albums including his heady Blue Note debut Dialogue with pianist Andrew Hill and the great Madison, Wisconsin bassist Richard Davis, recorded shortly after Hutcherson and Davis had collaborated with Eric Dolphy on his masterwork album Out to Lunch. There is also the meaty Stick Up! with Tyner and saxophonist Joe Henderson, and the ambitious nine-musician album Spiral. By contrast, also recall Hutcherson playing on guitarist Grant Green’s languid soul-jazz classic Idle Moments. Then there are two albums that feature Hutcherson’s warmly alluring marimba as well: Components from 1965 with “Little B’s Poem” — “the lilting modern waltz written for his son Barry,” as Chinen notes, and Hutcherson’s best-known tune. Also consider the album Oblique, another quartet with Hancock, which includes the pianist’s theme from the classic French new wave film Blow Up. The theme’s intoxicatingly catchy chordal vamp can get you dancing but also carry you someplace. My most specific appreciation, however, will be reconsidering one of Hutcherson’s most personal recordings (on Contemporary/OJC) which I just listened to again. It’s called Solo/Quartet recorded in 1982 with McCoy Tyner, Herbie Lewis and Billy Higgins. It opens with three pieces that Hutcherson recorded solo, with multi-track overlays. The first is “Gotcha,” wherein the marimba takes the improvised solo, conveying the intense repetitive patterns of Hutcherson’s kind of the blues feel, but also a sense of spiritual wonder. He’s “gotcha” — caught you in the resounding percussive melodic web layered here by multi-tracking. It’s simple but complex in its charms. Then comes “For You, Mom and Dad,” a humble but radiant lyrical theme with the sort of resonating and questing peak notes that were part of Hutcherson’s characteristic open-mindedness, his sense of possibility. Again his marimba takes the improv lead and its warm, woody wit is elevated into stunning arpeggios circling to a climactic high note, and then he sustains intensity while revisiting the theme with tubular bells backing it. Hutcherson had managed with nothing but the striking of metal and wood instruments to create a spiritual vibe that is nevertheless, down-to-earth enough to be understood as a song tribute to his parents. As if to say, look, mom and dad. This is what I’ve been able to create partly because you were there, and supported me all the way. Even though his dad wanted him to be a bricklayer. I love Chinen’s story about Hutcherson driving a cab during hard times in New York with his vibraphone in the taxi trunk. What the wouldn’t-be bricklayer built was a new way for the vibraphone, in a mode different from what his great contemporary Gary Burton did with his four-hammer virtuosity. The following solo tune on Solo/Quartet “The Ice Cream Man,” is another example of this musician’s balance between playful earthiness and psychic wonder. He’s clearly mimicking some of the sounds recalled from the bell-ringing, neighborhood-trolling ice cream trucks of his youth, but the sound of the note decay of the vibraphone is perhaps the key to the piece. This sostenuto effect opens the mind up, even as the melodic and rhythmic patterns beneath it engage you. The repeated playing of the theme is not tiresome; rather something you tend to savor, like every lick of an ice cream bar on a hot summer day. It keeps you rolling with the truck’s chiming melody, and in Hutcherson’s aura. The total effect is enchanting and transporting and yet he’s taking us back to familiar experience, like the best memoirists. Hutcherson does this all by himself because his own personal life and experience is being relived and transmuted into a vivid almost cinematic environment. I know of no vibist who has accomplished so much all by himself on a recording. The album’s last three tunes re-unite the Stick-Up! rhythm section, the great McCoy Tyner on piano, Hutcherson’s long-time friend, bassist Herbie Lewis, and the wondrously dancing drummer Billy Higgins. “La Alhambra” is a Hutcherson piece of brief ascending and descending rhythmic phrases with very shapely chord changes implying a classic Latin rhythm, with bass and drums percolating beneath. Tyner’s astonishing, muscular, supercharged energy comes cascading out of the chute, but he fully honors spirit of his friend’s composition with its Latin rhythmic allusions. During this convalescence, Hutcherson had time to reflect on what he really wanted to say in such a personal project, and thus the true quality and depth of Solo/Quartet was born. The next two tunes are two of the finest old standards in the repertoire book, both soulful vehicles that singers usually make the best of. But Hutcherson feels rightly that his vibes can do songful justice to both “Old Devil Moon” and “My Foolish Heart.” And he’s absolutely right. Again, it is his combination of swirling pattern-making and eloquent melodic phrasing that lifts the songs as high as an old devil moon and as deep as a heart, foolish though it may be. The album closes with Hutcherson’s “Messina,” a characteristic melding of subtlety and whirling, surfing rhythmic momentum, the sort of tune he might’ve dreamed up watching the powerful ebb and flow of the Pacific Ocean near the home he built in the coastal town of Montara, California, which is his native state. Solo/Quartet is such a marvelous record also because Tyner is a very kindred musician and this quartet swings deeply in a very modern ways, shifting and sifting through phrasing implied by the melodic changes. Clearly Hutcherson learned a lot from Milt Jackson about swinging, then found his own way to do it. In 1986, Hutcherson also has an interesting brief apprearance in a wonderful feature film Round Midnight by Bertrand Tavernier which stars saxophonist Dexter Gordon as a dying jazz great in Paris. Hutcherson plays a sort of expatriate but down-home cooking connoisseur in an amusing role. Yet it fits in with the man’s aesthetic for finding the good, beautiful and soulful — even in the most unlikely or displaced of places. Now, since the passing of other great California modern jazz giants like saxophonists Art Pepper and Joe Henderson, big-band leader and composer Gerald Wilson, and now Hutcherson, the historic role of the West Coast, in post-bop and modern jazz is beginning to become clearer, set against the somewhat East Coast-centric focus of modern jazz. West Coast cool jazz was a contrast to East Coast energy, but as a summation of the region the label always fell short. All these deceased musicians, and others like Horace Tapscott, Arthur Blythe, and The Bobby Bradford-John Carter Quartet embodied West Coast creative fire, as finely calibrated as theirs could be. The brilliant SFJAZZ Collective, with Hutcherson-influenced vibist Warren Wolf, exemplifies that West Coast modernism today, as both a repertory band and a vehicle for its members’ original compositions. Hutcherson co-founded the collective. Don’t be surprised if they honor him with a recording of his compositions. Let us always think in such larger terms when we consider the qualities of such a wide and deep art form as jazz, and the great musicians who brought contrasting and complementary sensibilities to advancing it. Hutcherson’s long, gleaming vibes tones will always radiate, like a Pacific lighthouse beacon in the darkness, through the music’s history. The renovated and revitalized Stoughton Opera House, built at the dawn of the 20th century, now is a Midwest mecca for American roots music. Single-ticket sales to The Stoughton Opera House 2016-2017 season begin today, Monday, August 15. Subscriptions are still available (See website link at bottom of story). Here’s the roots of this story. First opened February 22, 1901, The Stoughton Opera House closed down in 1953 and fell into disrepair after years of success as a venue for a wide variety of entertainment. So “The Friends of the Opera House” were formed and they went to work. They managed to raise funds to renovate and re-open the facility on February 22, 2001 — 100 years to the day after it first opened. That’s one thing Arthur C. Clarke could not have anticipated in his visionary 1968 book 2001: A Space Odyssey, which was made into a classic film by Stanley Kubrick. And yet, before the “friends” went to work on restoration, the old building with its stately clock tower even had a hole in the roof, through which anyone could gaze to the heavens and imagine a trip to Venus to encounter the 2001 “star child.” Nothing else was happening inside. Of course, Clarke and Kubrick were heaven gazers themselves, rather than looking down into the roots of American culture, where all kinds of indigenous vernacular music were simmering about that time, in traditional, alt- and utterly new forms. The “friends” had a strong sense of that, and especially Bill Brehm and Christina Dollhausen who were hired to run the place. 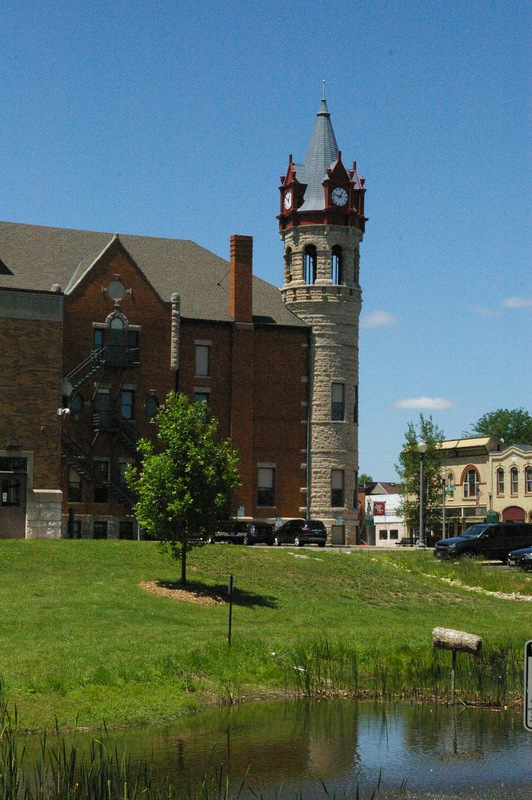 Sure enough, since 2001 the 475-seat Stoughton Opera House has become one of the Midwest’s most resplendent homes for American roots music, and other live entertainment. The SOH 2016-2017 season continues the venue’s success story with a classy and diverse line-up of the top names in Americana music as well as worthy regional artists. 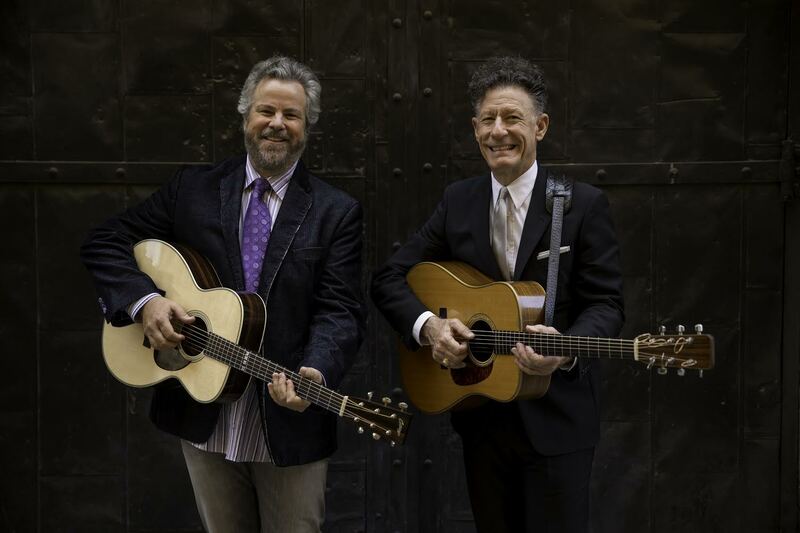 A measure of strong audience response is that one of the year’s most-anticipated acts, Texas singer-songwriters, Lyle Lovett and Robert Earl Keen, were sold out for their two nights on Oct. 21-22 – from advance subscription sales only. A third night with Lovett and Keen (Thursday, Oct 20) has been added, right as single ticket sales begin Monday, August 15. Lovett and Keen are highly distinctive singers and performers, and also exemplify an extraordinarily large generation of baby-boomer songwriter-performers born in Texas. 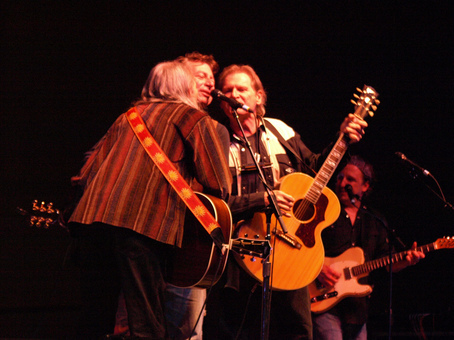 This group developed into a major part of the backbone of outstanding singer-songwriters in roots music today, led by the example of such elder Texans as Willie Nelson, Townes Van Zandt, and Guy Clark, who died recently but not before playing at the Stoughton Opera House in a memorable concert, Brehm says. Another trio of gifted performers from that Texas era is The Flatlanders (Jimmie Dale Gilmore, Joe Ely and Butch Hancock), a super-group of sorts, but genial and unassuming performers nevertheless. Scheduling complications have forced the date of their appearance in Stoughton into the TBA category. 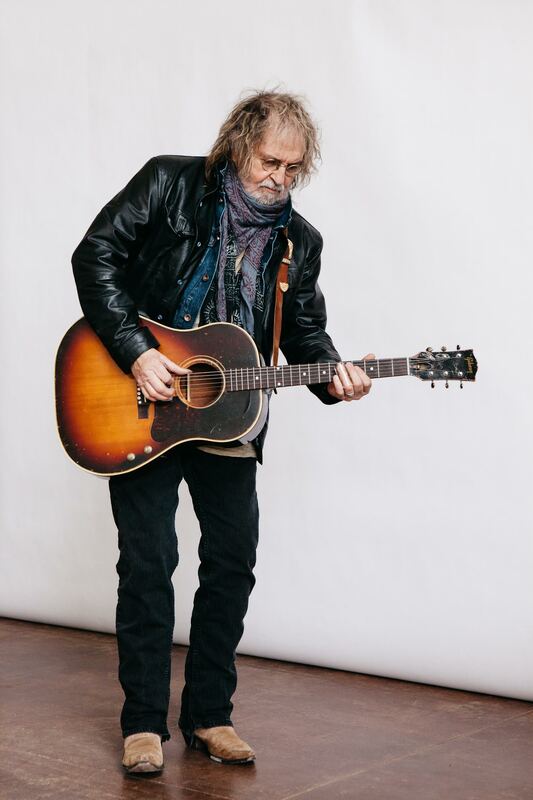 Before we move beyond the Lone Star State factor, another member of that remarkable Texas singer-songwriter generation, Ray Wylie Hubbard, will perform May 5, 2017. He’s a bit of a cult figure who has an eccentric style with “a twinkle in his eye,” says SOH director Bill Brehm. Hubbard’s offbeat musicality and poetics often betray surprising, sage-like wisdom. One more singer-songwriter booked is of comparable high quality, but lesser profile, though he’s respected among peers and in the music industry. Kentucky-born Darrell Scott (Nov. 11) has won an Americana Music Association award for best song in 2007 for “Hank Williams’ Ghost,” from his album, The Invisible Man. Scott also has won an ASCAP Songwriter Of the year award and, in 2010, toured as a member of Robert Plant’s Band of Joy. Believe me, Scott proved how dynamic a live performer he is when I saw him a few years back at the Blue Plum Music and Arts Festival in Tennessee. Among the other season highlights are perhaps the kings of contemporary traditional bluegrass, The Del McCoury Band, which has made the Stoughton venue a sort of second home, playing there almost annually. The McCourys play April 8, 2017. 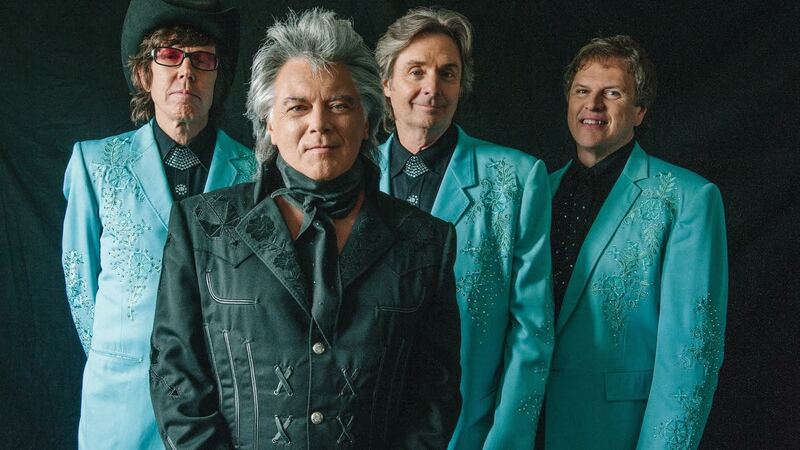 Also, traditional country music giant and popular TV show host Marty Stuart will play twice with his Fabulous Superlatives, for matinee and an evening shows, on March 18, 2017. Another even more legendary name is Noel Paul Stookey – of Peter, Paul and Mary fame –- who will play on March 17, 2017. 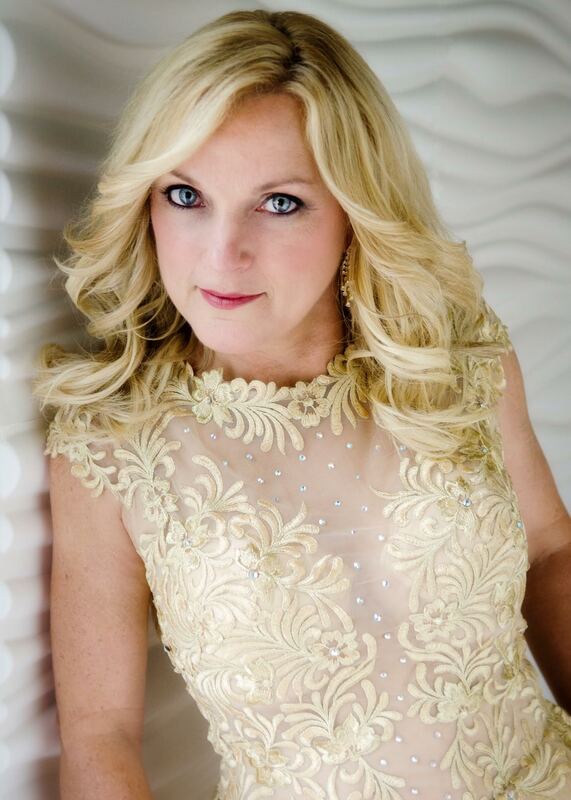 And bluegrass fiddle whiz Rhonda Vincent and her band The Rage will tear it up at the opera house on March 31, 2017. The opera house staff is very cognizant of younger talent with the chops to grow and make an artistic impact. Stoughton often tests the local waters for such performers by booking them at the venue’s annual outdoor Independence Day-weekend Catfish River Festival. One such young group, which has now graduated to the indoor season, is The Cactus Blossoms, a brotherly duo playing Nov. 3, whom director Brehm and others compare to the Everly Brothers. 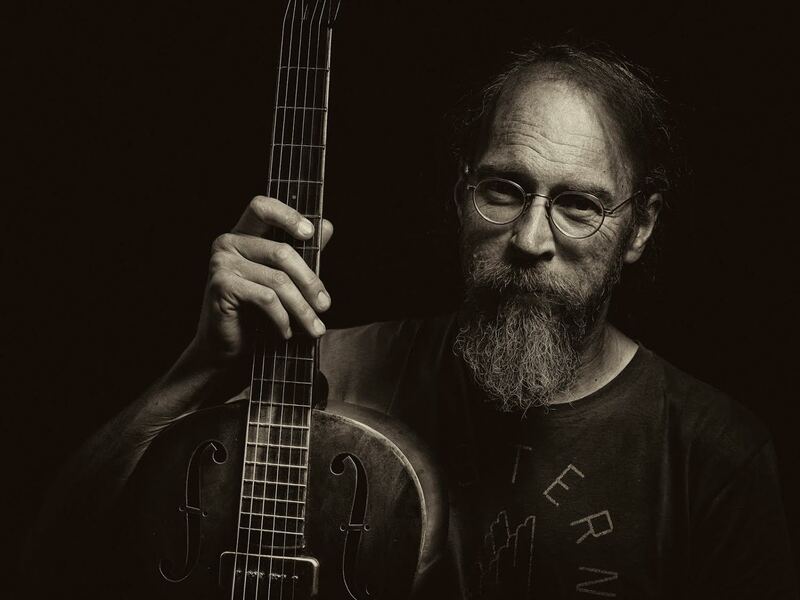 Finally, I can think of few performers who seem to have their feet growing right out of the deepest, funkiest, sinewy roots of American vernacular music than traditional rural-blues singer-songwriter-string player Charlie Parr. He’ll perform with kindred musician Willy Tea Taylor on March 24, 2017. But there’s plenty more performers and events where all that came from. For information on The Stoughton Opera House and its 2016-2017 season, visit their website. Photos courtesy The Stoughton Opera House, except as noted. It’s a story as old as the massacre of Wounded Knee, if not as overtly dramatic. But see and judge for yourself the human and environmental impact of coal mining in this Native American land. The short but unforgettable documetary video Mining and Resistance in Dinetah, depicts the Navajo Nation of Dinetah and the ongoing onslaught of coal mining and fracking. The Dinetah includes portions of New Mexico, Utah, Arizona and Southern Colorado. Each year, the mines emit “700 thousand to a million tons of coal particles,” one native Dinetah says in the story. They consider the mining “continuous genocide, still happening today,” says one young Dinetah resistor. See how they suffer, endure and resist. And art plays a big role with these people in their struggle to survive. My gifted young friend Jonathan Klett from Milwaukee, oldest son of my dear friends John and Mary Klett, was primary cameraman and editor for this film for The Laura Flanders Show, where he is a senior producer and co-creative director. For me, this is the finest documentary Jon’s been involved with to date, because of its power and human truth, ugly and immoral as it too often seems. 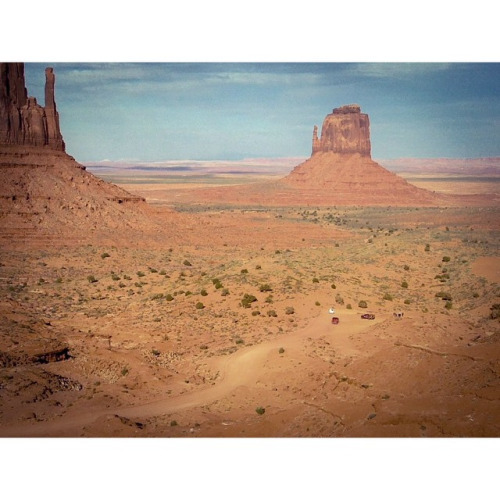 But especially because the story of these Native Americans – the most under-discussed minority in current politics – shows us the stunning beauty of their home environment, the quiet drama of a land at a crossroads in its ravaged heart. The region is harsh and austerely beautiful and the intrepid progressive British journalist Laura Flanders, the documentary crew and the Dinetah themselves do so much to show the relationships between those magnificent and nuanced aspects of nature and the courageous people who call it home.